The museum will provide living and working space and pay utilities in the Barglow Building, a 1906 building on the museum grounds. The museum will also promote and publicize the Creative in Residence. More information is below. In return, the artist is encouraged to attend and participate in Trinidad History Museum events and programs, and to take part in the museum’s Creative in Residence program offered in local schools. At the end of the residency, the artist will donate a piece to the museum's collection. You can learn about previous creatives-in-residence here and here. Applications are rolling. Apply by February 1 for the residency that will run from March to May 2019. Submissions will be selected by a jury of Trinidad artists. Applicants can submit proposals at trinidadhistorymuseum.submittable.com. Museum will pay all utilities associated with the building during residency. Phone and broadband internet not included. Museum will promote and publicize the artist in residence. Artist is encouraged to attend and participate in museum events, programs, etc. 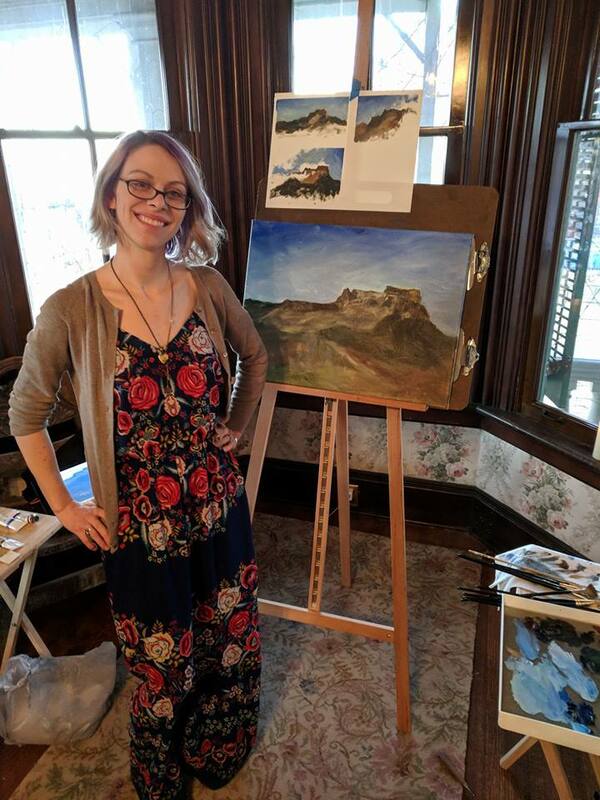 In addition to open studio visits, the artist has the opportunity to voluntarily participate in the museum's Creative in Residence program offered in the local schools. Artist will donate piece to museum's private collection. Museum requires the artist to complete 10 hours weekly assistance. Work could include: general construction, carpentry, studio improvements, grounds and building maintenance, office work, or any special skills that the artist may possess that would help ongoing museum operations. Museum will supply artist with a weekly report form to document hours and tasks completed. The artist has the opportunity to collaborate with museum on hosting arts workshops at the museum. The artist may offer mutually agreed upon fee-based workshops at museum and museum will be responsible for promotion of said workshops. Proceeds for the workshops shall be shared by museum (40%) and artist (60%).